If you read my articles weekly, you will know I am pro environment, pro community and pro profit! If we do not take care of the earth, then we will not have an opportunity to have a great community and we won’t be able to live or make a living while we are here on this planet. A report ordered by Congress about the global impact of climate change gives us a grim picture of its effects if it continues to be unmitigated. According to the report, “Impacts within and across regions will not be distributed equally.” Who do you think the problems will affect the most? The poor, the elderly, the young and other marginalized communities will have the hardest time preparing for and coping with extreme weather and climate related events. Climate change creates new risks and magnify existing problems in communities across the country. We will be faced with growing challenges to human health, safety, the rate of economic growth and the overall quality of life. 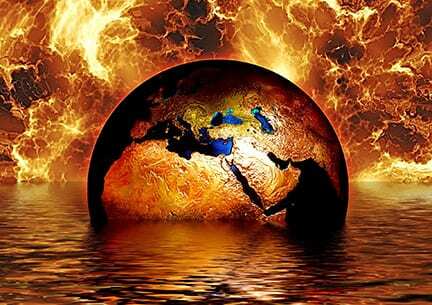 We have already seen more frequent and intense extreme weather and climate related events. Wildfires in California have already caused life loss and property damage. The wildfire issue is not just an issue in the western US. Let’s not forget the wildfires in Gatlinburg just 2 years ago. Climate change is expected to further disrupt many areas of life exacerbating existing challenges to prosperity posed by aging and deteriorating infrastructure, stressed ecosystems and economic inequality. The report also explains the ways health and well-being is expected to be impacted. A big problem will be access to clean water as well as poor air quality. Another problem is an increased exposure to waterborne disease, mental health consequences and an increase in deaths as a result of heat waves. Although our local and federal governments as well as the business community have tried to reduce their impacts, their efforts are not enough to reach climate goals. Our president has lacked the strength to lead us and the citizens of the world out of this crisis. So what can we do about it? Election season is over but we must continue to vote with our dollars. Support local business that use effective, sustainable practices. If you own a business or are thinking about starting a business, it is essential that you include a sustainability plan with your business plan. A sustainability plan will only enhance the value your company brings to your community. We need to be sure our businesses hold true to the values of not just good but great environmental stewardship. Sustainability shouldn’t just be another progressive marketing strategy but a rallying cry that more and more companies need to get behind if large scale change is to be effective. Keep in mind, consumers prefer a sustainable business or product as it shows the company as being forward thinking and almost all successful and profitable businesses have real sustainable measures in place. Does your company need a sustainability plan or would you like help developing one?